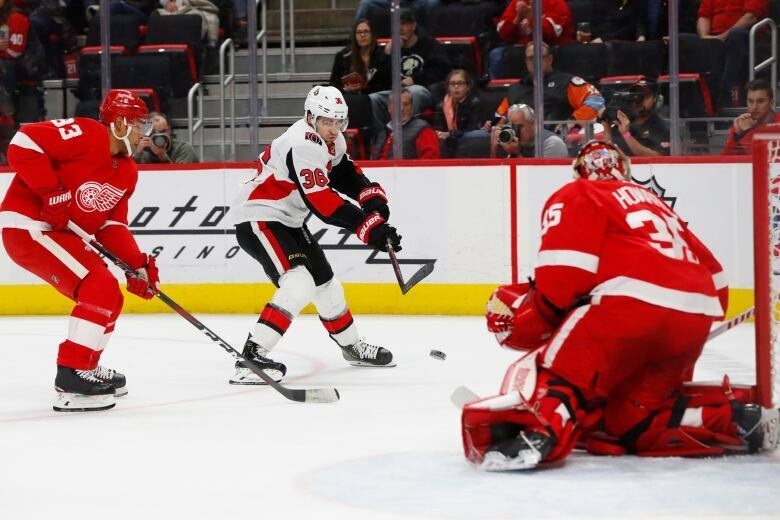 Andreas Athanasiou scored twice, including a penalty shot, and Jimmy Howard made 40 saves in his 500th game to lead the Detroit Red Wings to a 3-2 win over the Ottawa Senators on Thursday night. 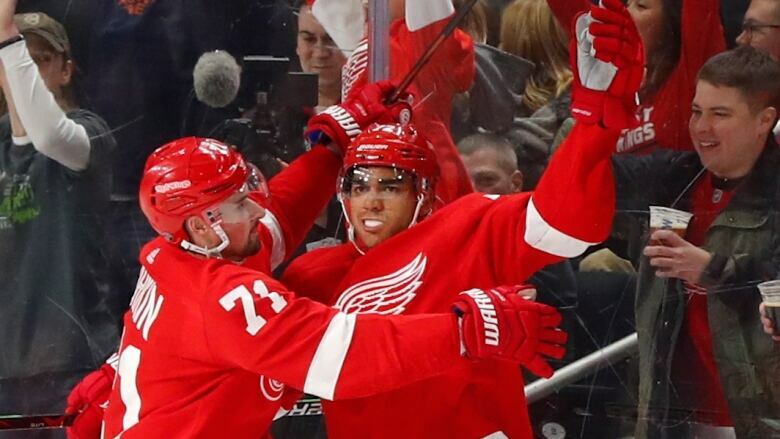 Andreas Athanasiou got the Detroit Red Wings' offence going, and Jimmy Howard backed it up. "[Athanasiou] doing what he does best in the first period, Frans burying one in the second, that's all we needed tonight," Howard said. "It was nice."